Jasen is a community organizer, father, early childhood educator, and social justice advocate based in Seattle. Along with being the Executive Director of Columbia City Preschool of Arts and Culture, he has made Kids and Race a full time job. 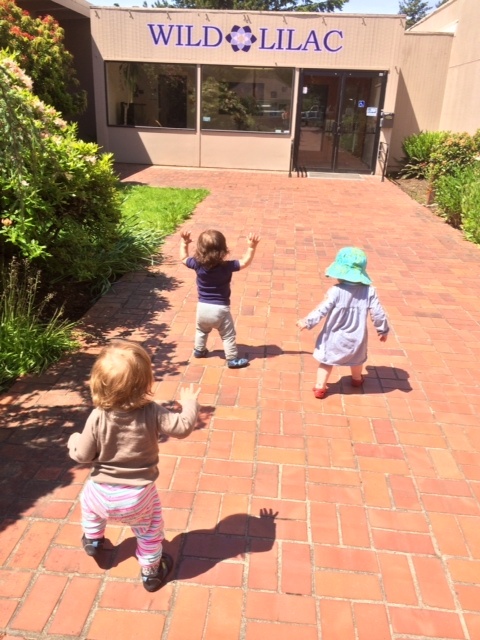 Having been featured in Parent Map Magazine and on NPR’s Seattle affiliate KUOW, the program has served over 500 people to date, and rising every month. 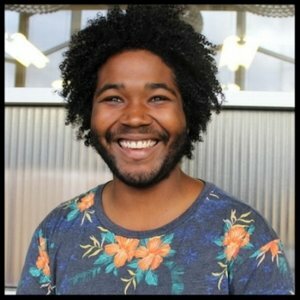 His various actions around race and social justice have made front page news in Seattle and have been featured on the local news on numerous occasions. He has 15 years of experience working with children in various capacities. 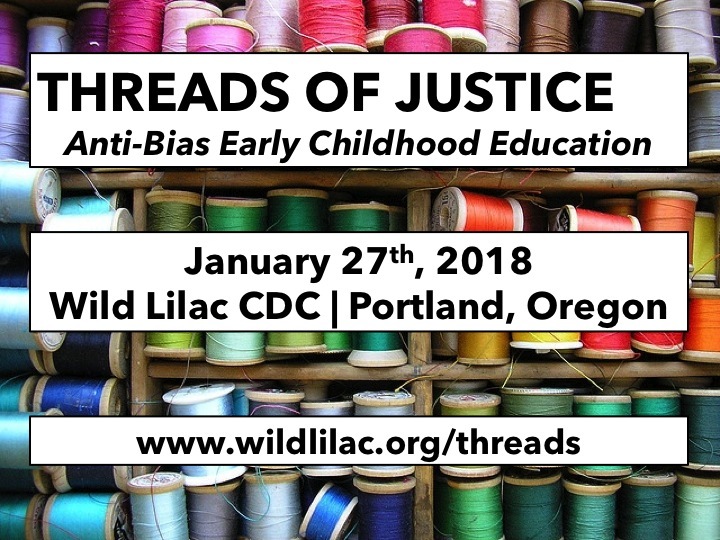 Join early childhood educators, parents, and activists as we deepen our understanding of anti-bias philosophy and practice in the early years on a day filled with community-building and professional development. Sliding scale registration with scholarships available. Delicious lunch and fabulous childcare provided at no additional cost. Oregon Registry training hours available for all sessions. We are excited to share CCR&R-Multnomah County will be partnering with Threads of Justice to ensure Spanish interpretation is available for at least one workshop in each session. At this time the plan is that the keynote address as well as three workshops will be offered in English with Spanish interpretation and individual headsets provided. Please see the 2018 program below!